We ship throughout Europe to countries listed below. All your online orders (max. 30 kg/max. length 2 m.) will be shipped by GLS Parcel Service. Single items over 30 kgs or over 2 m. length will be shipped by FedEx or freight forwarder on request. The total costs of shipping for these boxes depend on destination, number of boxes, weight and dimensions. Delivery to P.O. Box is not possible! Your shipment will require a signature for acceptance upon arrival. You are also welcome to pickup items in our showroom / warehouse in Roermond (NL). We advise you to order online in advance, to enable us to already put aside the items. As soon as your order has been picked in our warehouse, we will e-mail a confirmation that your order is ready for collection. Below you will find a summary of shipping costs for most destinations inside EU. Max. weight per box: 30 kg. If the total weight of your order exceeds 30 kg, then costs for a second box will automatically be added. 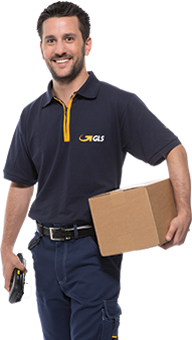 Shipping method: GLS Parcel Service. GLS delivers Monday till Friday. Not at home: During the online ordering process you can fill out an alternative delivery address. On shipping day you will receive a Track & Trace mail from the GLS system. At that time you also get the possibility to use the Flex Delivery Service. In this case click the link in the e-mail the same day before 23.59 hrs. and you can inform GLS of an alternative delivery address, e.g. GLS Parcel Shop. This enables you to collect your order at the moment of your choice. Long/Volume items: Shipments of which 1 item is over 30 kg or longer than 2 meters, we will ship by FedEx or freight forwarder. Instead of the cart, next to the relevant item a button with " Request shipping costs" appears. With one mouse click you will be able to request shipping costs by e-mail before ordering. If you agree to our shipping quote, we will confirm your order and e-mail payment link for a safe online payment. FedEx and freight forwarder only deliver Monday till Friday. Long / Volume items: Shipments of which 1 item is over 30 kg or longer than 2 meters, we will ship by FedEx or freight forwarder. Instead of the cart, next to the relevant item a button with " Request shipping costs" appears. With one mouse click you will be able to request shipping costs by e-mail before ordering. If you agree to our shipping quote, we will confirm your order and e-mail payment link for a safe online payment. FedEx and freight forwarder only deliver Monday till Friday. Important remark re. PlastiDip: Due to hazardous goods and transportation by ferry, we are not allowed to ship PlastiDip items to Finland! Oversized items: Shipments of which 1 item is over 30 kg or longer than 2 meters, we will ship by FedEx or freight forwarder. Instead of the cart, next to the relevant item a button with " Request shipping costs" appears. With one mouse click you will be able to request shipping costs by e-mail before ordering. If you agree to our shipping quote, we will confirm your order and e-mail payment link for a safe online payment. FedEx and freight forwarder only deliver Monday till Friday.